Business 101, Rule #1: Know your customer and his/her motivations to buy. Though we’ve heard a lot about how to create a successful crowdfunding campaign, let’s not forget this most basic rule of business when beginning our latest Indiegogo endeavor. Monica Lopez, a Notre Dame senior, makes it easy in today’s post by handing us a snapshot of the “customer” most likely to contribute on a crowdfunding site. While sitting in my social entrepreneurship class on April 2nd, I listened as Jennie Motto from Accion Chicago talked about microcredit in the United States. Though the presentation offered a fascinating look into how Accion Chicago has helped in the Chicago community, the part of Jennie’s talk that really caught my attention was her description of the Seed Chicago program. This is an initiative of Mayor Emanuel’s Plan for Economic Growth & Jobs, taking place on the crowdfunding site Kickstarter. 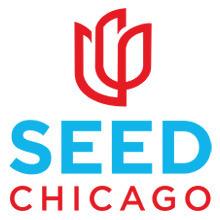 The fact that Seed Chicago takes place exclusively through crowdfunding caught my attention. I’d heard of crowdfunding before. Sites like Kickstarter and Indiegogo have made raising funds for startups easier than ever. But what I wanted to know was this: who is the crowd and why do they fund? In April 2012, the American Dream Composite Index released some interesting data about the demographics of crowdfunding. Age: Not surprisingly, people between the ages of 25 and 34 are more likely to make investment decisions through crowdfunding platforms. Gender: Males are more open to investing in companies that have been assessed by a third party, while females are more risk-averse in their investment and prefer to invest only in those businesses they know or have assessed themselves. Ethnicity: African-Americans, Asians, and Hispanics are more likely than Caucasians to invest through crowdfunding. African-Americans and Hispanics would prefer to know the business they are investing in, while Asians are just as likely to invest in businesses with which they have no connection. Wages Earned: Higher wage-earners, those who earn an annual income of $100,000 or more, are more open to crowdfunding than other income brackets. However, the data indicates that those who earn $40,000 or more annually may invest, particularly if they have substantial working knowledge of the companies in which they are considering investing. Of course, this data can vary when considering specific crowdfunding sites. Quantcast Measure states that Kickstarter’s demographics alter slightly, with the largest difference being that Caucasians are by far the largest group of investors on the site. 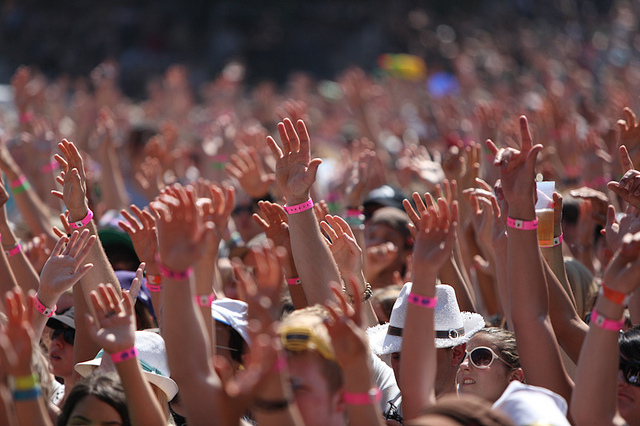 Now that we know what the average crowdfunder looks like, it’s time to ask: why do they fund? Because of a reward system, people want acknowledgment. Because they have a connection to one of the people seeking donations. Because they want to support efforts analogous with their beliefs. When explained in this light, it makes sense that Seed Chicago would seek investors through crowdfunding. What better way to improve the community than to start businesses funded by the members of the community themselves? Best of luck to all of the Seed Chicago projects! Take a look at the Seed Chicago Kickstarter page or check out Entrepreneur magazine’s list of the Top 10 Crowdfunding Sites to search for projects you might be interested in investing in! “Accion Chicago.” Accion Chicago. Accessed April 12, 2014. http://www.accionchicago.org/default.aspx. Ahmad, Irfan. “The Art of Creating Perfect Social Media Posts – infographic Read more: http://www.digitalinformationworld.com/2014/04/creating-perfect-posts-for-blog-googleplus-youtube-tumblr-vine-facebook-twitter-infographic.html#ixzz2yjlIArKM.&#8221; Digital Information World (blog). Entry posted April 6, 2014. Accessed April 12, 2014. http://www.digitalinformationworld.com/2014/04/creating-perfect-posts-for-blog-googleplus-youtube-tumblr-vine-facebook-twitter-infographic.html. Gerber, Elizabeth. “Why do people give on crowdfunding sites?” Interview. Audio file. Marketplace. January 11, 2013. Accessed April 12, 2014. http://www.marketplace.org/topics/your-money/why-do-people-give-crowdfunding-sites. “kickstarter.com US Demographics.” Quantcast. Accessed April 12, 2014. https://www.quantcast.com/kickstarter.com/demographics. Klein, Candace. “A Surprising Look at the People Most Likely to Crowdfund.” Crowdsourcing.org. Last modified April 16, 2012. Accessed April 12, 2014. http://www.crowdsourcing.org/editorial/a-surprising-look-at-the-people-most-likely-to-crowdfund/13537. Outlaw, Sally. “10 Top Crowdfunding Websites.” Entrepreneur. Last modified October 10, 2013. Accessed April 12, 2014. http://www.entrepreneur.com/article/228534. Xavier University – Center for the Study of the American Dream. “The ADCI.” The American Dream Composite Index. Accessed April 12, 2014. http://americandreamcompositeindex.com/.